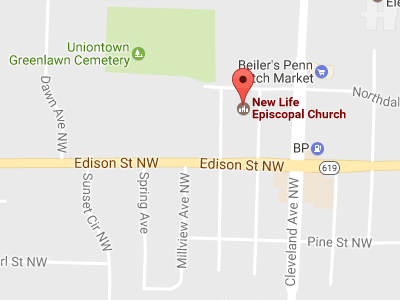 New Life Episcopal Church is seeking a quarter time rector for its small but faithful and active congregation. A core value of New Life is shared ministry, and our new rector will find gifted people to teach, to work with and to work through in his or her ministry with us. 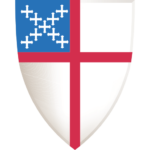 Fifteen years ago, an enormously successful merger of two parishes resulted in the newly named New Life Episcopal Church. Since then, we’ve gained a reputation as the most welcoming and friendly of churches, as well as one that performs an outrageous amount of service into the community for a church of its size. Although our size has diminished recently and we face continued challenges, our hospitality and desire to be the hands and feet of Jesus in our hurting world has only intensified. You can learn more about us by perusing our website. If you are interested in exploring this opportunity or have questions, please contact the Rev. Percy Grant, Canon for Ministry, at pgrant@dohio.org or 216.774.0455. As with most mainline churches, our rolls are dwindling. We’ve lost members to death, nursing homes, becoming home bound, moving, conflict with clergy, youth growing up and moving or not being church-going, families getting busier and not making church the priority, and fatigue with being in a struggling church. We have no infants or toddlers and few children or young adults. Fewer visitors and new members. We do not get many visitors anymore. Almost all who do visit learn of us via our website. Some with young children do not stay after visiting because our church does not have other young children or ministries for young parents. Others don’t stay because they see the small, aged congregation or small choir or few men. At least one person has returned to the parish, and if others do, we will have the challenge to intentionally reintegrate them into the congregation. We are known to be one of the most loving, welcoming parishes around, but we need to do a better job on visitor follow-up. New Life benefits from having an investment fund (Joint Investment Fund, or JIF) from the sale of a church building following a merger in 2002. 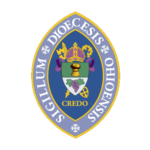 Used for many years to fund growth and operational efforts (building improvements, full time clergy, community outreach,) the fund decreased over time and now the Diocese wants to see it used only for mission, not operations. Like most mainline churches, New Life sits at the edge of viability, unable to fund a full time clergy person on pledge income. The church must increase membership or find other ways to increase income in order to remain viable. Fewer people to do church work and the work of the church. Although New Life has a very energetic and devoted core of members, the fact is there are fewer strong hands and fewer talents now. There are gaps in capability and it will be a challenge to not burn people out. 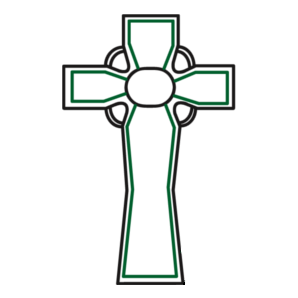 That said, New Life still conducts an exceptional number of organized outreach activities for a parish its size, with people who are deeply passionate about making a difference in the lives of people in need. A return to shared ministry. New Life traditionally practiced a shared ministry with clergy. That is, members were trained, mentored and empowered to do most aspects of church work and the work of the church themselves with a high degree of responsibility and authority. In recent years shared ministry has decreased, but it is needed more than ever with quarter-time clergy. Members will be challenged to take on more tasks and responsibility, and leadership challenged to train and mentor. Almighty God, look graciously on the people of New Life. 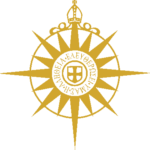 Be with our Search Team and lead them as they seek the next rector for our church. We ask your direction and guidance for those who shall choose our new spiritual leader, and pray that we may receive an upright and faithful priest who will care for your people and equip us for our ministries. Grant our Search Team perception, faithfulness, and joy, so that they may hear your voice in all of their deliberations. Grant them also the desire and the ability to truly hear each other and those who have entrusted them with this process. Give them courage to respond and act as you lead them, through Jesus Christ our Lord.